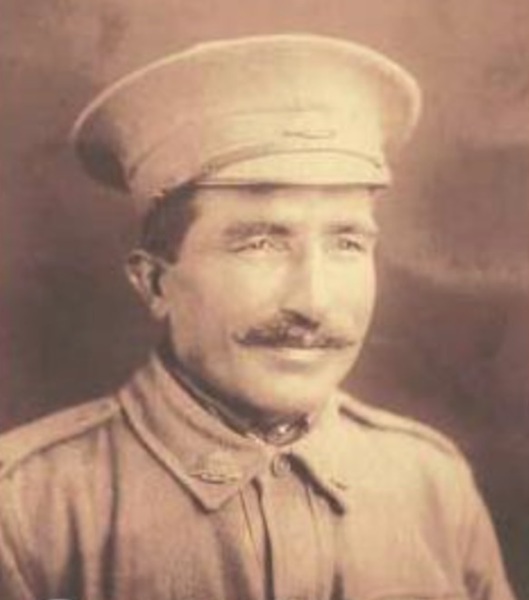 Lt. Mehar Singh Sandhu Australian. 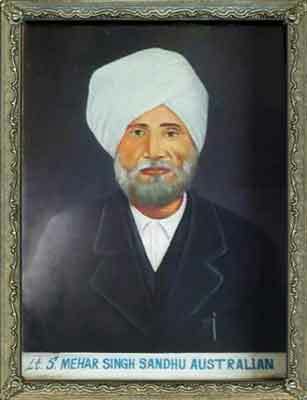 Known as Meyer Singh. This painting done from old photograph proudly hangs on the wall of the Sandhu Family home in India. The Australian Indian Historical Society was contacted by Kartar Singh Sandhu one of Sardar Mehar (Meyer) Singh Sandhu’s grandsons. Kartar asked for information and acknowledgement of his grandfather’s time in Australia. His grandfather was born about 1866 in India and was known as Meyer Singh in Australia. Meyer travelled between Bombay, India and Australia as a merchant on many occasions and is listed in the Shipping Passenger Lists on the”Ville De La Ciotat” 1904, the “Armand Behic” 1910 and again on the “Ville De La Ciotat ” in 1914. 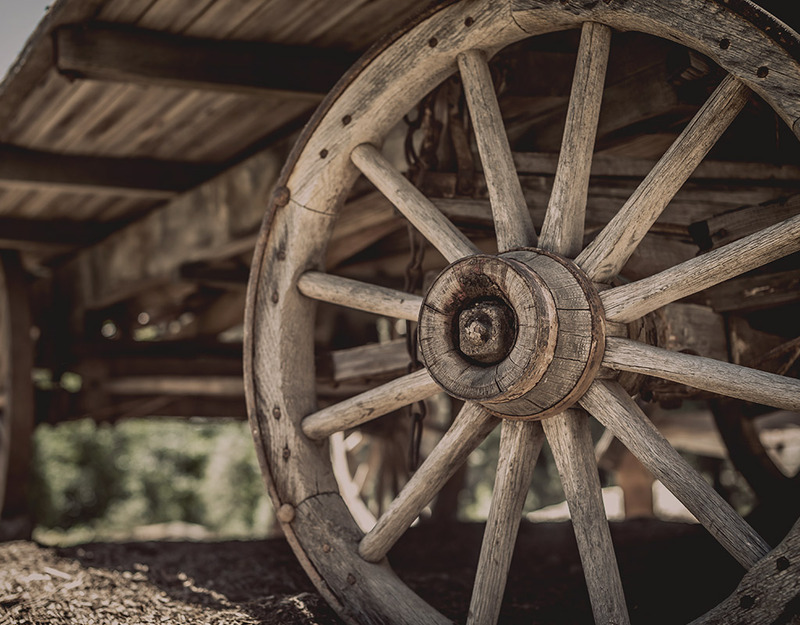 The earliest mention of Meyer Singh in Australia was when he was reported as hawking with a basket of goods in and around the Echuca area, in Victoria during January 1895 when a Chinese boy, George Ah Chong, stole a ring, knife, sleeve links, (cuff links) etc. George was later apprehended by the police and the goods returned to Meyer. Myer continued his successful hawking business which he supplemented with money from telling fortunes in Victoria and NSW. He was arrested and tried several times for telling fortunes, which was against the law in Australia at that time. He was fined in March 1903, following a Police Raid in which 15 people were arrested for telling fortunes. The raid took place at 226 Brunswick Street, Fitzroy, Victoria. Meyer was the most prominent person amongst the Fortune Tellers that were arrested. He was fined £10 and in defaulted, two months in prison. He paid the fine. He was again arrested at Broken Hill in March 1907 for Fortune Telling and was sentenced to fourteen days imprisonment, and he was placed on a Good Behaviour Bond for twelve months. 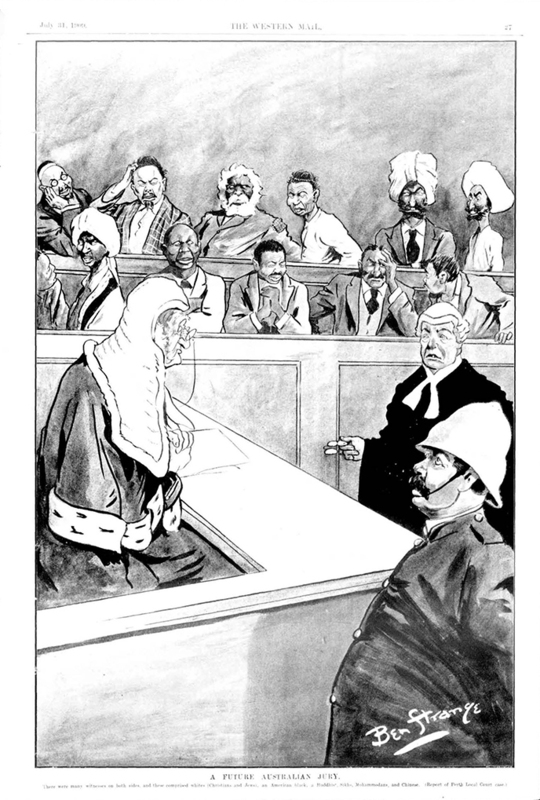 In 1902 a dispute over who was the best astrologer or palmist occurred at the Bendigo Exhibition in Bendigo Victoria, between Meyer Singh and Pundit Maharaj Kumar Joytishi and charges for assault and threatening language were brought against the two men. Pundit Maharaj Kumar Joytishi was a native of Calcutta where Meyer and he first met. The verdict was brought down against Meyer Singh for assault. Myer left the court very dejectedly because he was fined 10/- and 1/13/- in court costs. 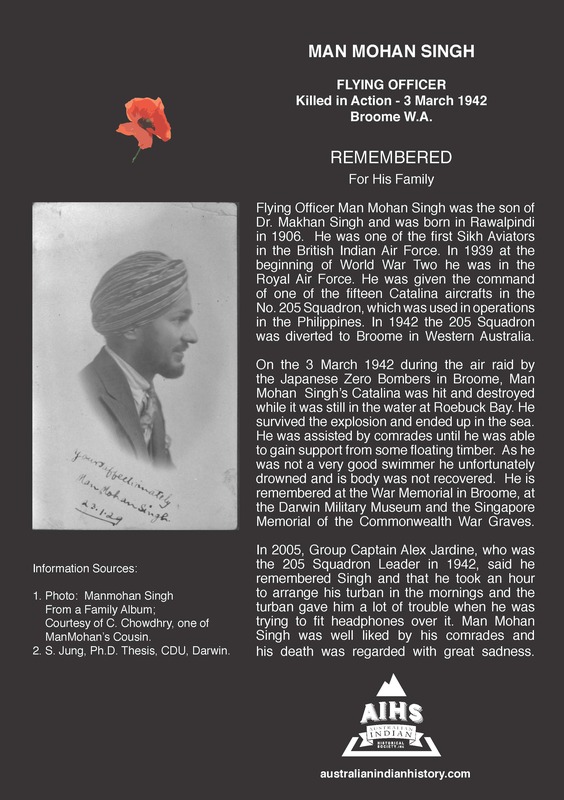 Meyer Singh died at about 52 years of age on the 22nd of October 1918, while visiting his family in India. At the time of his death Meyer’s estate was worth over £10,000. At the time of his death Meyer’s son Milka, was a minor so he left everything to his wife Usseh. He appointed Norman Brown Fraser of Kerang, Bank Manager, and Sandhurst District Trusteees and Agency Company Ltd., of View Street, Bendigo, as Executors. The Will took over 34 years to finalise because his wife, Usseh, was suspicious of all communications she received from Australia and refused to co-operate. She died intestate before Meyer’s Will was finalised and Meyer’s son, Milkha, became his heir under Punjabi law. In 1940, Milkha was granted Letters of Administration by the Supreme Court of Victoria, Australia, unfortunately he died before he could collect the estate. Milkha was survived by two widows and eight sons. Under Punjabi law at that time the female could not share in an estate of a male member who had died intestate. Because of this law, the Sandhurst Trustee Company and Trustees of the estate approached the Court in Victoria to have female members of the family barred from participation in the estate. The Chief Justice, Sir Edmund Herring ordered that the female relatives be excluded. In 1952, the Trustees were finally able to administer Meyer Singh’s estate and the remaining funds were distributed to Meyer’s eight grandsons all of whom lived in India. Today there are only two surviving grandsons, six have died. “Lost” Kerang New Times, Vic., 5 June 1914, p. 3. Tasmanian News, Hobart, Tas., 31 January 1895, p. 3. Darling Downs Gazette. Qld. 4 March 1903, p. 3. New South Wales, Australia, Police Gazettes, 1854-1930, 6 Mar 1907 p. 92. Bendigo Advertiser, Vic. 16 May 1902, page 2. Astrologers At Variance. Humorous Court Case.” Bendigo Advertiser, Vic., 16 May 1902, p. 4. The Argus, Melbourne, Vic., 16 May 1902, p. 7. The Argus, Melbourne, Vic., 19 March 1921, p. 12. Communication with Meyer Singh’s grandson, Kartar Singh Sandhu, 2014.